​​choose any four 250g bags , your choice . If you would like specific options please leave a note to seller on checkout. ​If no message is left we will select coffee at random. 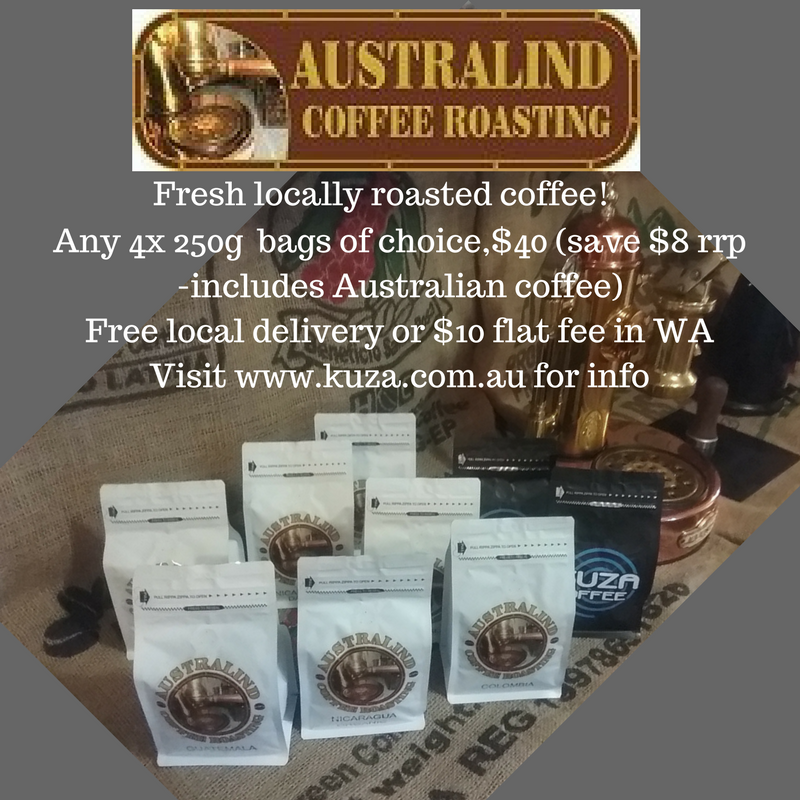 ​Free delivery in a 15 klm radius of Australind or delivery anywhere in WA flat fee of $10. ​To start a subscription please give us a call, there are many more tailored options.